Finely crafted of solid teak garden furniture from Island Teak Company will provide you a lifetime of use in your outdoor environment. Best quality, best price & lifetime 100% satisfaction guarantee! Chilton is a family-owned, Maine company dedicated to selling fine, wood furniture, all American-made. We are known for our modern, Shaker and Scandinavian-inspired designs, and also feature cottage, live edge and reclaimed wood pieces in solid cherry, maple, ash, walnut, and quarter-sawn oak. Many of our collections are original designs built locally in Maine and available exclusively through Chilton. Most pieces can be custom built to your specifications. Much of our furniture is handcrafted in small Maine workshops, and we also work with boutique craftsmen in New Hampshire, Vermont and the Midwest, many of whom have been partners for decades. All of Chilton’s pieces are built to our high standards, and a growing number are original, proprietary designs. 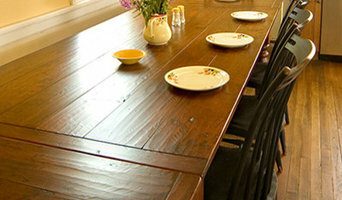 We invite you to visit our showrooms, in Freeport and Scarborough, Maine, or at www.chiltons.com. ***WE OFFER NATION-WIDE WHITE GLOVE DELIVERY SERVICE*** See our website for details. What makes an exceptional sofa? It’s no mystery. 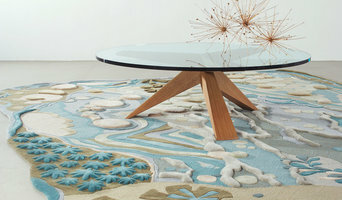 It depends on how you make it, the materials used, where it’s made, the skill of the craftsmen etc. Casco Bay Furniture specializes in the manufacturing and selling of high quality home furnishings at the lowest possible prices and offer many extra services and perks, including free upgrades, free in home white glove delivery, free down cushions, free fabric & leather upgrades and a complimentary furniture protection plan (some exclusions to the preceding). The company is headquartered in York, ME. Traveling to High Point, North Carolina? Want to test drive our leather furniture or preview your order? Call for an appointment, Monday through Thursday 10AM - 3PM. Call or email us today for more information about the sofa of your dreams! We specialize in classic bunk bed designs that will last for generations and never grow out of fashion. Our beds are custom made and notable for their structural strength, safety and stability. 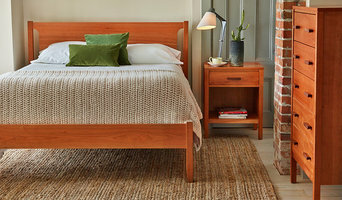 Each bed is handcrafted in Maine from solid hardwoods, and then finished with Greenguard certified paints and lacquers. From solid hardwoods to natural finishes to organic mattresses, our company is dedicated to being a good steward of the environment for generations to come. Maine Home Recreation specializes in indoor fun. Pool Tables, Air Hockey, Shuffleboard, Foosball, Dart setups, Ping Pong, Furniture like Pub / Bistro Tables, Bars, Bar Stools, Poker Tables, Game Tables, Wall Decor, Neons, Supplies and more. We deliver, professionally install and service all of our games. We also ship our games anywhere in the continental US! Design, engineering, and craft. Since 1986 Gregg Lipton Design has been producing fine furniture with a balance of aesthetic form, intelligent function and superb craftsmanship. Whether it’s a commercial or institutional installation, or a piece for the home, each piece is engineered, designed and expertly handcrafted to create a product that exceeds expectations and will last for generations. French Country Furniture by KateMadison.com Handcrafted + Hand-Finished Dining Tables, Chairs, Cupboards, Armoires, Media Wall Units, Bookcases, End Tables and Beds inspired by country French designs. DENNEN DESIGN is a small custom wood shop producing the finest customs cabinets and furniture for 20 years. We consult, design, build and install everything we make. 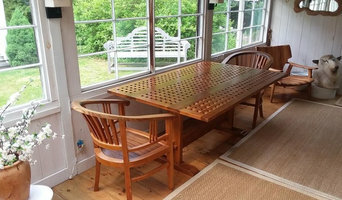 Stephen Adams Fine Furniture is located in the small town of Denmark Maine, where for over 30 years my family and I have been handcrafting furniture in the Maine tradition. Maine is known around the world for it's high quality products and we are proud to be a part of that tradition. In addition to the standard items offered on this site, we welcome special orders. Some of the pieces shown can be customized to suit your needs or we can work together to design your own one of a kind piece! We realize that purchasing furniture is an investment - our materials and workmanship are guaranteed and our pieces will appreciate over the years, becoming family heirlooms. Thank you for your interest in our fine furniture. I have been in business for more than 23 years. During that time I have made many custom built-ins, furniture pieces, and accessories. Most of the things I make are from solid wood, usually cherry, mahogany, oak, or walnut. I enjoy meeting clients that want to collaborate on a custom project. The project can range in size from a small piece of furniture to a room full of built-ins and custom woodwork. I work in a range of styles and materials. I work up custom drawings to clarify the ideas and provide fixed price proposals for the customer's consideration. Maine Made Furniture is located in Wilton, Maine, a community deeply rooted in the traditions, values and history of fine craftsmanship. This connection means designing and building heirloom-quality furniture is in our DNA. Planning on buying new furniture and accessories for your Portland, ME home? A wide range of home furnishings and home decor accessories are available in the marketplace. If this is your first home, check out our directory of furniture retailers in your area for ideas and cost comparisons. Or you may already have a favorite style and a furniture retailer that you’ve worked with in the past. Whatever your situation, it’s always a good idea to do some research before visiting a Portland, ME retailer or finding a custom furnishings manufacturer. Start your research right here on Houzz. Read through professionals’ profile pages to find out important details, like how long a manufacturer has been in business. Look at reviews by design professionals and find out which furniture makers offer the best customer service. Are you looking for condo-size furnishings or working with an oddly shaped room? Necessity is the mother of invention, so opt for a custom piece made by an experienced Maine furniture maker. Here are some related professionals and vendors to complement the work of furniture & accessories: Interior Designers & Decorators, Artists & Artisans, Kids & Nursery, Closet Designers and Professional Organizers, Bedding & Bath. Take your time on any buying decisions. If contemporary is your style, don’t buy something traditional because it’s on sale. Many Maine home furnishers offer interior design consultations or room planning guides to get you started. Whether you decide to work with a home decor specialist or to become your own expert, it’s important not to rush the furniture-buying process. Visit plenty of Portland, ME showrooms and stores so you can feel comfortable with your purchase. Find furniture and accessories manufacturers, showrooms and retailers on Houzz. Narrow your search in the Professionals section of the website to Portland, ME furniture and accessories, then choose the nearest metro area for showrooms and retailers. Or you may want to look through Maine photos to find designs you like and contact the furniture manufacturers and showroom galleries directly.